The second installment of “Outlander” begins as Claire and Jamie arrive in France, hell-bent on infiltrating the Jacobite rebellion led by Prince Charles Stuart, and stopping the battle of Culloden. 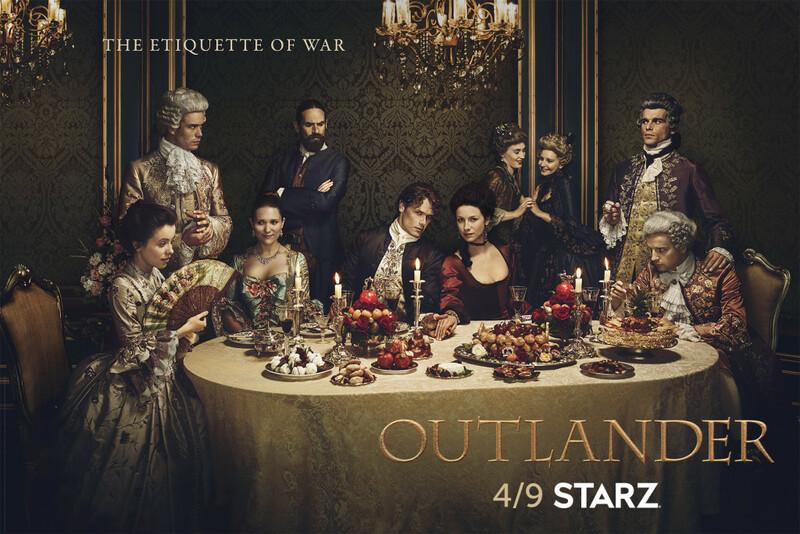 With the help of his cousin Jared, a local wine merchant, Jamie and Claire are thrown into the lavish world of French society, where intrigue and parties are abundant, but political gain proves far less fruitful. Altering the course of history presents challenges that begin to weigh on the very fabric of their relationship. However, armed with the knowledge of what lies ahead, Claire and Jamie must race to prevent a doomed Highland uprising and the extinction of Scottish life as they know it. The13-episode series is based on the second of eight books in Diana Gabaldon’s international best-selling Outlander series, entitled Dragonfly in Amber. Gabaldon’s Outlander series has sold more than 26 million copies worldwide and all eight books in the series have graced the New York Times best-sellers list. This entry was posted in Actors, Andrew Gower, Caitriona Balfe, Claire Sermonne, Duncan Lacroix, Lionel Lingelser, Rosie Day, Sam Heughan, Stanley Weber, TV Show News and tagged Andrew Gower, Bonnie Prince Charlie, Caitriona Balfe, Claire Fraser, Claire Sermonne, Duncan Lacroix, Jamie Fraser, King Louis XV, Le Comte St Germain, Lionel Lingelser, Louise de Rohan, Mary Hawkins, Murtagh Fitzgibbons Fraser, Outlander, Rosie Day, Sam Heughan, Season 2, Stanley Weber, Starz by Ashley Fendt. Bookmark the permalink.